Welcome to BPS (WA) Pty Ltd! 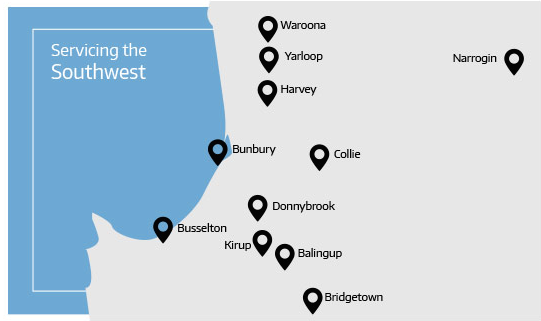 BPS (WA) started in 1990 as Bunbury Plumbing Services and quickly recognised the need for a septic waste tanker service in Bunbury and the surrounding region. Since then BPS (WA) have expanded their specialist services and have acquired a fleet of vehicles and machinery to get the job done! BPS (WA) are a Water Corporation Authorised Contractor and work with many large companies ranging from abattoirs, mining, wineries, and can service all industrial or residential customers that require our services. All of our Truck drivers are licensed to carry controlled waste and are up to date with training and tickets ensuring we can get your job completed on the day you booked. Services include Liquid Waste Management, Septic system supply, installation and rejuvenation, Excavation and Earthworks. We Service Bunbury, Collie, Harvey, Waroona, Yarloop, Donnybrook, Kirup, Balingup, Busselton, Bridgetown, Narrogin and surrounding areas.